JR Nyquist is a long-time respected observer of world affairs from an economic and financial standpoint. He has been writing on such subjects for some 15 years. 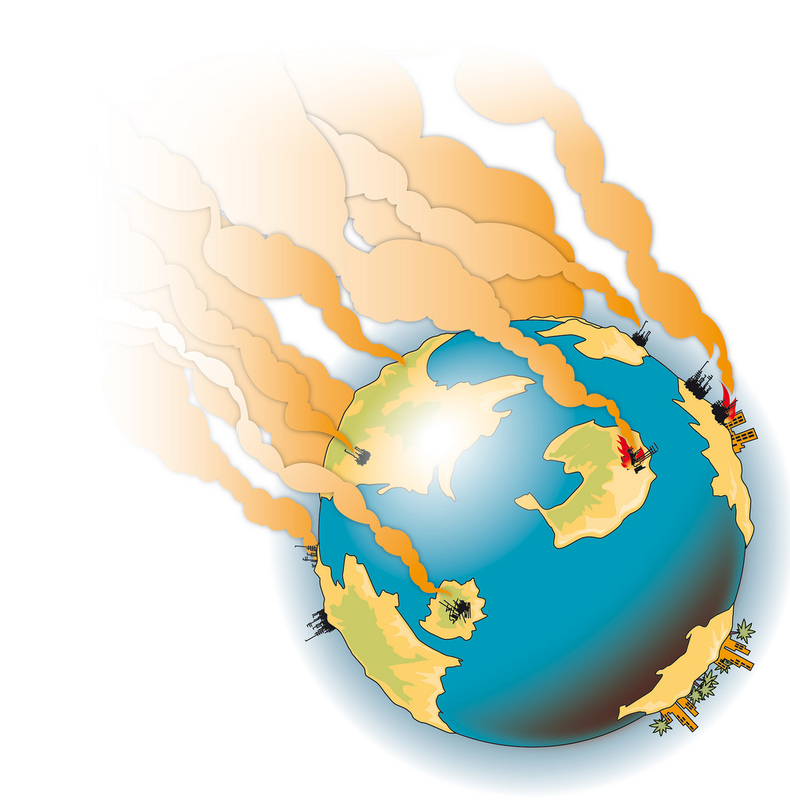 This week he has penned an informative analysis of various crises that are simmering around the world which could have a profound impact on the world economy and financial markets. The price of gold surged higher by over $25 per ounce to just under $1,780 on a double dose of news that the market regarded as bullish. First came the news that China was further embarking on a monetary stimulus plan of its own to try to jump-start its slowing economy. With Europe, the US, China and Japan all printing money at the same time, traders are very bullish on the outlook for gold. At the same time, Spain announced that it would meet budget deficit targets, an indication that perhaps the worst is over for the Spanish depression. As the US looks inward in advance of the upcoming presidential election, another factor largely beyond our control is looming on the horizon–or perhaps OVER the horizon. While economists and political pundits in America debate the health and outlook of the US economy, the Chinese economy is quietly falling into crisis. Because the Chinese economy has been an engine of growth for the global economy, a severe slowdown in China poses a serious threat to world financial markets. Many companies whose stocks trade publicly on exchanges from Shanghai to Sydney to Tokyo to New York to London have major interests in China. A recession in China will severely impact those companies and thus world stock markets. During such a scenario, at the outset, gold may be temporarily hurt by interrupted Chinese demand, but over the long-term, gold investments tend to move independently of stocks, making them an ideal way to hedge your portfolio from any scenario that threatens world stock markets. The region of the world with the most growth right now is almost certainly Asia. 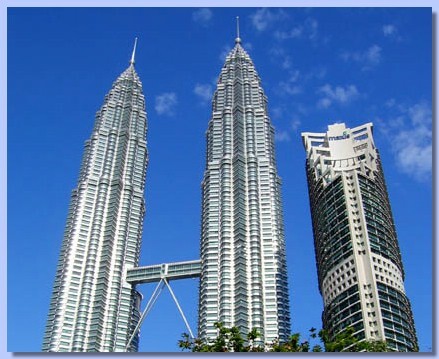 And one of the financial centers in Asia is Kuala Lumpur, the capital of Malaysia, a country with a very sophisticated financial services industry that has attracted a great deal of wealth from the oil-rich Arab world. “Gold is not overbought at all. We think it still has room to appreciate,” said Oversea-Chinese Banking Corp Ltd analyst Barnabas Gan. “Everytime there is a surge, it is followed by profit-taking. This is called a correction. But the trend we see is that prices are on an uptrend,” Poh Kong Holdings Bhd executive director Ermin Seow said. “Overall, the environment for gold is still quite bullish. Now that QE3 is out, many analysts believe gold can reach US$1,900, if not US$2000, by the end of the year,” Seow said. OSK Research technical analyst Mohammad Ashraf Abu Bakar also believes the underlying price trend for gold points upwards, despite some selling. “The current resistance is pegged at US$1,800, the next level being US$1,900. The rally could continue for the next one month. “The selling pressure, if you look at it, has in fact not been able to keep prices down,” he said. Punctuated by a sharp increase in gold holdings by South Korea’s central bank, world central banks are moving into gold, expanding their gold holdings in a major way. What do these ultimate insiders know that the average investor doesn’t know? Central bankers have access to information and statistics that we are kept in the dark about. This makes their move into gold an important signal for the rest of us. Do not dismiss South Korea as a minor player in the world economy and financial markets, they’re not. South Korea is an Asian economic juggernaut, with one of the fastest growing economies over the past quarter century. part of the central bank's efforts to diversify its massive foreign exchange reserves. after paying $810 million last month for the purchase. away from the U.S. currency and government debt securities. after leaving them unchanged for more than a decade. tonnes and Japan 765 tonnes, according to the World Gold Council (WGC). from the International Monetary Fund showed. "We have been of the view that we would increasingly see more diversification of reserves and investments into gold,"
said Chirag Mehta, gold fund manager at Quantum Mutual Fund in Mumbai, India. "This trend is likely to continue". IS THE PRICE OF GOLD TOO HIGH? Gold has been on a “tear” for a decade. The price of gold has literally risen in each of the past 10 years. This has resulted in gold outperforming most other investment categories during this period of time. Despite this excellent long-term momentum many investors have taken to sitting on the sidelines, rather than buy gold investments because they fear that gold may “have had its day.” Some observers even claim that gold is a “bubble,” getting ready to burst. The available evidence suggests that gold is still vital to a properly diversified investment portfolio because (i) the macroeconomic and geopolitical environment is still conducive to higher gold prices going forward and (ii) in real terms, the price of gold isn’t all that high. The answer of course is the macroeconomic/geopolitical environment is actually supportive of higher gold prices over the long-term. For evidence, one need go no further than America’s national debt and ongoing federal budget deficits. The national debt continues to grow, it is now well over $15 trillion. Meanwhile, the federal government keeps spending and is running an annual deficit of some $1 trillion, an amount that essentially gets added to the national debt each year. This situation ensures that the US dollar will continue its long-term decline and likely means that the US will have no choice but to turn to a hyperinflationary monetary policy at some point down the road. Why? Because that debt must be repaid and the only way the US Treasury will be able to live up to its obligations is by paying back creditors, such as China, with dollars cheapened by inflation. In other words, it is inevitable that the Federal Reserve will fire up the printing presses like never before to pay off the debt. This is the reality that overrides all other factors in the economy and the political realm and it is one for which investors must be prepared. Gold investments are uniquely qualified to protect wealth from the ravages of the high inflation that will eventually come. But is the price of gold really that high? 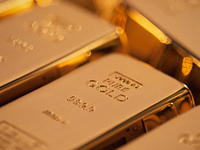 As we sit down to write this article, the price of gold is trading at $1,550 per ounce. This is NOT lofty by any measure. Consider that the all-time high for gold was over $1,920 per ounce. That means that just to get to its previous high, gold would have to rise by nearly $400 per ounce. That is hardly an overvalued investment. Also, consider that in real terms, compared to other financial assets, such as the stock market, the price of gold is still very low. In 1980, the price of gold reached around $800 per ounce. In the same year, the Dow Jones Industrial Average peaked at around 1,000. Consider today that gold is less than twice the level that it was in 1980, yet the Dow is trading at over 12,000, a dozen times the level of 1980. Despite this, gold has actually outperformed stocks over the past 10 years, yet gold still seems undervalued compared to the stock market. When you see China heading down the same path as Bernanke & the Fed manipulating the economy to meet artificial economic expectations it makes one wonder. The second largest economy is not recovering as fast as the manipulators would like to see, so out come the printing presses. 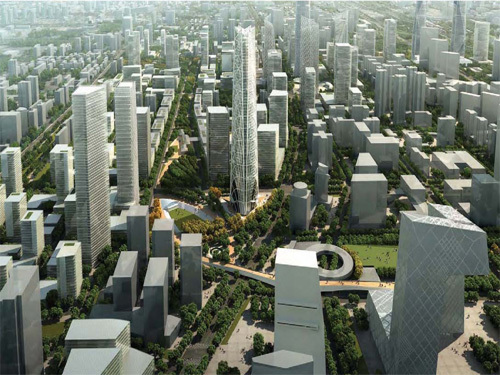 Beijing to launch aggressive stimulus measures in order to prevent a further deterioration of growth like the expansion in the eastern part of the city. Continued weakness in China’s economic data, as well as growing risks of aGreek exit from the euro zone, will drive Beijing to launch aggressive stimulus measures in order to prevent a further deterioration of growth in the world’s second largest economy, economists and strategists tell CNBC. On Thursday, the HSBC Flash Purchasing Managers Index (PMI), the earliest indicator ofChina’s industrial activity, fell to 48.7 in May from a final reading of 49.3 in April. It marked the seventh straight month that the HSBC PMI has been below 50, indicating contraction. “We are going to have to see more active support being directed directly to consumer and business rather than through the monetary system via the banks,” Kwok added. China, which began to tighten its monetary policy in late 2009 to stem risinginflation , is now facing a sharp slowdown in the economic activity, raising fears of a hard landing for the economy. In a sign the government is already growing worried about the slowdown, a state-backed newspaper reported on Tuesday that China will fast-track approvals for infrastructure investment. Dariusz Kowalczyk, senior economist and strategist, Asiaex-Japan, at Credit Agricole, said the weak HSBC Flash PMI data strengthen the case for easing and he expects more fiscal stimulus. “The focus of the stimulus is likely to be on the fiscal side, probably as a ‘mini-Lehman crisis’ package of state-directed lending for investments in infrastructure, because this is the fastest way to boost aggregate demand,” he said in a note to clients. While Kowalczyk believes monetary policy is unlikely to be used as aggressively, he expects a push towards quantitative easing through “pressuring” banks to lend more via further reductions in the reserve requirement ratio (RRR). Chinahas cut the RRR three times since November 2011, with the last move on May 18, and Kowalczyk expects up to 150 basis points in RRR cuts and 50 basis points in interest-rate cuts this year. In addition to a deterioration of domestic economic indicators, headwinds from Europe’s debt crisis, particularly risks surrounding a Greek exit from the euro zone, are growing a concern and could trigger “massive” stimulus measures, said Peng Wensheng, chief economist at state-owned investment bank China International Capital Corp. According to Wensheng, ifGreecewere to leave the currency bloc,Chinawould need a 600 billion yuan ($94.7 billion) stimulus package to shield the economy from any fallout by the exit and meet its 7.5 percent growth target. A Greek exit, which would hurtChina’s exports and result in large capital outflows, could drag economic growth in the mainland down to 6.4 percent in 2012, he said. “Assuming a Greek euro exit drags down global economic growth by half as much as the 2008-2009 global financial crisis did, China’s economic growth would fall to 6.4 percent in 2012, 1.7 percentage points lower than our baseline forecast of 8.1 percent,” he said in a research note. Sean Darby, Hong Kong-based chief global equity strategist at brokerage Jefferies, said that according to many ‘on-the-ground’ measures of economic growth, gross domestic product in China is running at 5 percent, which is much below the government’s 7.5 percent target. “A number of them such as inventory growth, working capital loans, and letters of credit issued in Taiwan (a major trading partner) are on a similar trajectory experienced through the first half of 2008,” Darby said. A large reason for this is that recent tightening measures have lessened the availability of working capital — an important component for the country’s manufacturing sector, which accounts for more than one-third ofChina’s GDP, he said. “Chinese authorities are clearly behind the curve if they wish to support their economic growth anywhere close to the desired 8 to 7.5 percent target. It is working capital that needs to grow in the economy,” he said.